It’s a beautiful Easter morning here in Juneau, with low fog and broken clouds, but for some reason the deep snow that melts so slowly around my house keeps the day from really capturing the essence of Easter. Good Friday was about mercy and salvation, but today is about life. It’s about coming back to life. The morning I spent in the Alabama Hills near Lone Pine, California held that same feeling of coming back to life for me, so I’ve been thinking about it this weekend. 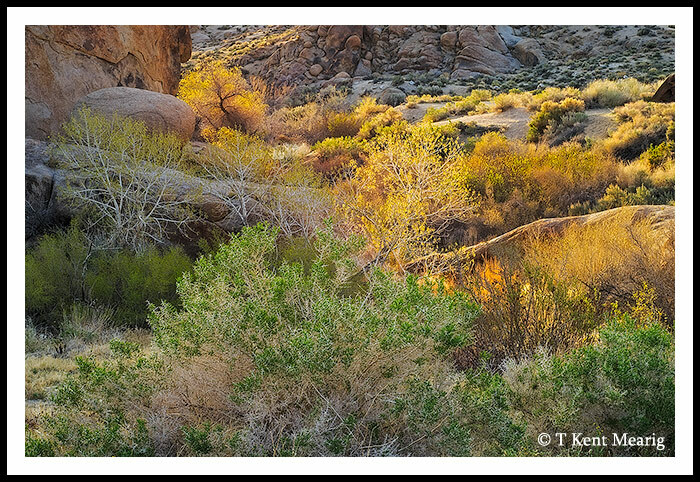 Even in the desert, winter brings dormancy, but spring comes early and with a vengeance. 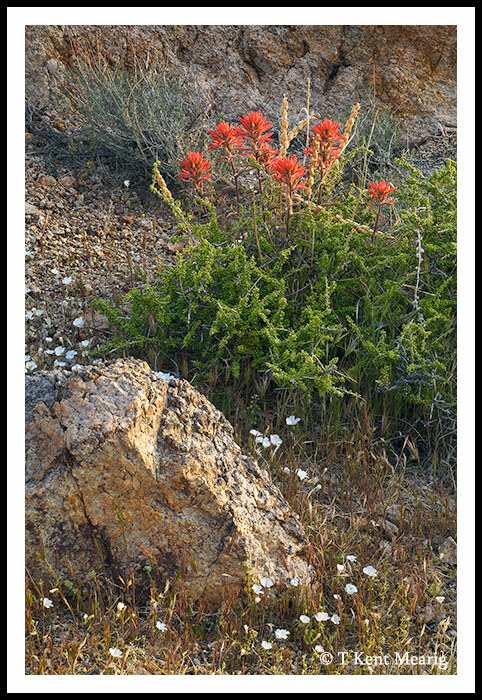 On that morning I stumbled unexpectedly upon a variety of wildflowers, and new growth on the all the plants bathed in the warmth of the sun. I wanted to share two photos this morning that I hope can remind us of the gift of new life we received when Jesus Christ rose again on the very first Easter.